Its Saturday morning here in Denver and we are home! What a grueling travel day(s), but we made it. The coffee is brewing, the dog and cats are wandering around, Everett is on the couch watching TV and having his first glass of milk in almost 2 weeks...and oh yeah...there's a little girl with eyes the size of saucer plates trying to figure out where she is NOW! :) Michelle is rocking her in the chair in her room, and I can hear some happy noises from here. Welcome home Natalie! Oh the things you will learn. More to come....its great to be home. WE ARE HEADING FOR HOME!! Its finally here....our last day in Ethiopia. While we have enjoyed many things, we are simply desperate to be home. The bonding is coming along nicely....she definitely sees Michelle as "mommy"... I am still in limbo status a bit, but she is generally OK with me, which is probably more than I should have expected. She is a social butterfly and interacts with others very well; she seems to love her brothers, but we have already seen the jealousy of sibling life creep in, both from Little E's side and from Big E's side. We leave around 7:30 tonight for Dubai and stay overnight, with a flight to the US around 9am tomorrow morning. That's the 17 hour flight.....just dreading that. Little E requires and WANTS constant attention, so its going to be a long trip. Let's hope sleep is in the plans. It rained last night, and the hard rain hitting the metal roofs was loud....it was the first rain we had experienced so far minus a few droplets on the 2nd day. We hope it cleared the air of the stench of diesel fumes, even just a little. Our throats burn, our noses get stuffy, and we are a bit (putting it mildly) tired of living inside the smoke rings of toxin. The hotel power was out for much of the day and night yesterday; when it came back on near 11pm, I heard cheers from people on the street as they could now see a bit to walk (yes, it seems that there are ALWAYS people out there walking around....do they ever sleep? ).Anyway, not too much more to report. Its been nice to have this internet connection, but it is so erratic that you never know when it will work or for how long. I have tried loading our blog page and its just too much for this connection. We look forward to the craziness and calm of home....love,pat. All is going well. It is Wednesday around lunchtime right now; we are getting ready to go shopping for a while. Sunday's trip to Durame was.....crazy...beautiful....terrifying...sad...joyful. Boy, you name it, we felt it. It is a 5-6 hour drive (mostly paved) but the drivers seem to think they are on a nascar circuit. The scenery was amazing,and don't worry...we took hundreds of pics. The meeting with Little E's birthmom was extremely emotional. Its hard to put into words and we will do so at a later time. Needless to say, we are glad we met her and spent some time with her. She looks just like Little E, is emotional like E, is stubborn like E. I am sure Michelle will put together some eloquent words later on to describe the scene, but trust me...nothing really prepares you for it. It did end with the birthmom hugging us and walking arm in arm with Michelle....that was touching and meaningful. We came back Monday afternoon (exhausted yet again)....we were very nervous that E might not remember us as it had been 48 hours since we had last seen her. She objected for a minute, but was fantastic after that. The boys went with Grandma to the Hilton and Sheraton across town to swim and use the internet....they had fun but got really sunburned! The GPS says we are at 7718 feet of altitude. The weather is simply beautiful and it would be nice to be outside if it wasn't for the intense smell of diesel that permeates the air 24/7. Yesterday (Tuesday), we went to the US Embassy (which, by the way, is surprisingly underwhelming....I was expecting a fancy building - what you get is a small one that really has NO indication on the outside that its the US embassy). We did all the required stuff there to get E back to the US after waiting for about 2-3 hours. Last night, E spent her first night with us. She did really well! She has a bad cough and is congested, but the smog could be doing that as much as anything else. She coughed/sneezed for about an hour, but slept for the next 10! We had the farewell ceremony at the care center this morning (cake, Coke, Coffee...all the "c"s). Many of the kids, including E, seemed upset to be back there, and once we got back to the hotel room, E was her playful self again. She is going back to the center while we shop today, but that will be the last of it. We are ready to come home!!!!! !OK, lunch is served and I have already used more than my time on this computer (the keyboard is terrible, so excuse the typos). Soon, we will be on our way back to begin our new life.....yikes.love,pat. We're on our way little e! We're officially traveling today so we're officially allowed to share with you pictures of our beautiful little girl. This is our referral picture. It was taken in late September, 2009, shortly after Enatalem was relinquished. The photo broke our hearts. She looks so frightened. And so thin. We received this picture in November, 2009. Already she's looking healthier. Transformation! 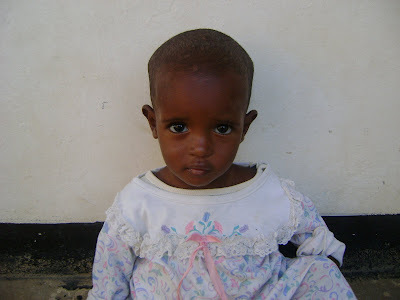 Enatalem looks healthy and happy--and she has hair! These pictures were taken in January, 2010. We're on our way, little e! We can't wait to meet you! Next week, in a country halfway around the world, a stranger will hand us a child and say, "Here. She's yours. Raise her." Today, we were overwhelmed by the enormity of the change coming to our lives. Please wish us luck. And Enatalem, too. 1. Where do we go to get our shots? 2. When should we go to get them? 3. What shots do we need? I could find no cut and dry answers. I now know there are no cut and dry answers. For those of you with the same simple questions I had, I pass along our experiences and our mistakes. If you're not traveling to Ethiopia, STOP READING. This is REALLY BORING stuff. If you still need your travel shots, I hope this helps. 1. Where do you go to get your shots? Go to a government-run travel clinic. That's my advice. Our county health department has a travel clinic. Probably yours does, too. If you don't know, ask your doctor. That's how we found out about ours. There are for-profit travel centers, too. They even have them in Walgreens. But Walgreens, at least, costs more. Here's what happened to us: the government-run clinic charges a $50 fee to advise you on what shots you need. Our sneaky plan was to have me go to the clinic, find out what shots we needed, and then have Pat go to Walgreens because they don't charge you a fee if you already know what shots you need. Clever, yes? WRONG. Walgreens shots are more expensive than the government-run clinic, even when you add on the $50 fee. 2. When should you go to get your shots? More than a month before you travel. If you need Hepatitis shots, you have to get at least two of them before you travel, and you have to space them out by at least a month. 3. What shots do you need? -It depends on your own personal immunization history. Pat and I didn't have our shot records from childhood or anything like that, but the clinic was able to tell by our birthdates what shots we would have had (they also asked if our parents had been conscientious about having our shots done). -It also depends because some travel clinics give different advice than others. For example, our clinic said we should get a typhoid shot but not meningitis. My mom's clinic (in another state) told her to get meningitis but not typhoid. Both were reading the same literature. Both interpreted it differently. Who's right? I don't know. Is this disconcerting? Yes. Do I know what to do about it? No. 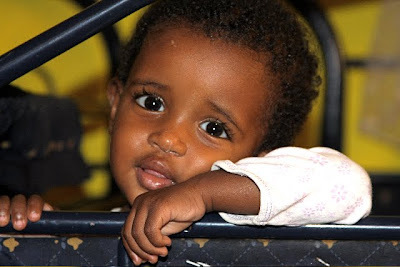 -If you're taking your children to Ethiopia with you, make sure they are up to date on their regular shots. The kids didn't need most of the shots Pat and I needed because they got them as part of their regular immunization schedule. -Twinrix (Hepatitis A/B combo). This is when you need to know your immunization history because you may have already had this. We hadn't. -Adult Tdap (tetanus, diptheria, whooping cough). Again, you need to know your immunization history on this one. I think you're supposed to get a new one every 10 years. -Meningitis: as I said above, our travel clinic said because we wouldn't be there for an "extended period" that we didn't need this. -the travel clinic prescribed malarone pills for malaria because we are leaving Addis Ababa. If we stayed in the city we wouldn't need them. There are several different types of malaria pills. The ones we got are supposed to have the least side effects. They are also, unfortunately, the most expensive. I read on the Yahoo board of lots of folks who don't take any malaria pills. Our daughter and several other children from Durame have had malaria. So, clearly it's down there. We didn't want to chance it. -he was up to date on polio, hepatitis, and tetanus through his regular immunization schedule. -he DID NOT need any of the other shots we got because he's not traveling out of Addis and the rest are already part of his regular immunization schedule. -we had his doctor prescribe an antibiotic for him for possible diarrhea but he's too young for Cipro so she prescibed azithromycin. A LOT. Be prepared to shell out boatloads of cash. And no, your insurance probably won't cover most of it. Our insurance covered: ZILCH. I did find out after the fact that if we'd gotten the tetanus shot during a well-visit at our doctor's they would have covered it. So, grand total: $1,357 (if I added right) Now, there's the real OUCH right there. Wesley, Everett, and Natalie's computer-savvy Grammy Brown will be updating our blog for us while we're in Ethiopia. Yay, Grammy Brown! Also, several of you have asked how you can be notified when we've added a new post to the blog. On the right column of the blog under the "adoption ticker" Pat has added something called "get new updates sent to your email." Also, at the bottom of the right-hand column you can ?subscribe to? RSS feed. But ask Pat how that works. Cuz it's beyond my technical know-how. Our travel call with Holt is in 30 minutes. Three more days until we leave. Wow, this is really happening! Just testing to make sure I know how to enter information from The Taupes while they are in Ethiopia! Have a great trip! We can't wait to meet our newest grandchild! If you want to spark some heated debate on the Yahoo adoption board, just suggest that you might change your Ethiopian child's name. 3) the "I'm choosing a first name for my child and using their Ethiopian name as their middle name" camp. 4) No doubt there's an, "I'm not using my child's Ethiopia name at all" camp, but no one dares admit it on the Yahoo board. Choosing a name for our little one has been way harder than we thought it would be (and not just because of the angry folks on the Yahoo board). When we got our referral I immediately checked out baby name books from the library. I've dreamed of choosing a girl name since I was pregnant with Wesley. The problem was, Enatalem already had a name. It's Enatalem. Her mother named her Enatalem. Her mother called her Enatalem for the thirteen months they lived together. Enatalem has lost her whole world not just once--when she lost her mother, but twice--when she was moved away from Durame. And very soon, when we arrive in Ethiopia, Enatalem will lose everything for the third time. How can we take away her name, too? Probably we would feel different if she were an infant. But she's not. She's almost 17 months old. She knows her name. "Enatalem" is a beautiful name. Musical. But it does not slip easily off the American tongue. I had to write "Enatalem" on a little piece of paper and carry it around in my pocket for two weeks before I could remember with certainty how all those syllables fit together. And I'm still not positive we're pronouncing it correctly. I remember in elementary school there was a girl named Susan Ierominimun. She was the poor soul who, every year on the first day of school, had her name massacred by the new teacher. By sixth grade, after the teacher's first stuttering "I---" every one of her classmates could have shouted out, "Ee-air-oh-muh-nee-man!" The point is that this poor girl was singled out every year because her name was difficult, and I STILL remember her name thirty-some-odd years later because getting singled out as a kid is miserable. Enatalem is already going to stick out in her mostly-white community. How can we saddle her with a difficult name as well? We're going call her "Natalie." It's very close to "Enatalem." The American version, if you will. And we'll keep "Enatalem" on her birth certificate. That way if she wants to go by Enatalem later she can. It'll be up to her. There are those on the Yahoo board who wouldn't approve. But we've done our best. We respect whatever decision a family makes when naming their adopted child. It's a difficult choice. And very personal. Besides, the Yahoo board's opinion doesn't count. Only Natalie's does. What a responsibility, choosing a name for our daughter. The first of many to come. We've had a rough week leading up to our big trip. On Monday, Wesley was dragging a string for the cats and fell backwards onto the open dishwasher. Luckily, Pat had just emptied it. Luckily, Wesley wasn't hurt. But, now the door to the dishwasher is bent and won't close and because of some financial issues we're dealing with that I won't go into we're washing all our dishes by hand. On Tuesday, the washing machine flooded the laundry room. Also on Tuesday we had to shell out $180 for malaria pills because our insurance won't cover them because the pills are "preventative." Apparently, the wise folks in the insurance industry would rather have us GET MALARIA and then pay to treat us instead of helping us not get the disease in the first place. Everett, Everett, Everett. On Monday, he decided to pretend he was a cat and use the litter box instead of the toilet. How do I know? Let's just say there's no way the giant thing I found in that box came out of a cat. On Tuesday, he broke open the nice compact plastic sleeve of Enatalem's diapers. He removed five of them. And experimented on them the same way he did the litter box. Yes. Truly. I'm not making this up. He hid the used diapers under his bed. Then, he sat on the nice off-white rocking chair in Enatalem's room. Without once thinking of toilet paper. We asked Everett if he's worried about getting a new sister. Or going to Africa. He said no. But if he's acting out like this BEFORE we even have Enatalem, I'm terrified to see what he'll do once we bring her home. Ethiopia takes cash only. No credit cards. No traveler's checks. There are a few places, like the Hilton and the Sheraton, that accept Master Card and Visa. But everywhere we're going? Cash. Even our hotel. Cash. (and you're supposed to settle your bill with them a couple of days before you leave. Why? Because they calculate everything with pen and paper. Of course). It's been years since I've even used traveler's checks on a trip. Cash? Never. Now I understand why people used to tote guns around with their gold. If someone steals your cash it's gone. You can't just call up and cancel it like a credit card. "Um, I lost the $500 in my purse today. I'd like to cancel those bills and have some new ones issued, please. Please?" So, we estimated how much cash we think we need (what happens if we run out, I'd like to know? With a credit card we've never faced this problem) and went to our bank to withdraw it. But, of course it wasn't that simple. Because Ethiopia doesn't want just any cash. According to our agency we're supposed to bring only crisp and clean bills. ISSUED AFTER THE YEAR 2003. Seriously. No joke. The banks in Ethiopia want new money. They want pretty money. And if you don't give them what they want, they might give you a lower exchange rate. Or not exchange your cash at all. Crisp clean bills issued after 2003. This is some exotic place we're going, folks. So, we're at our bank. We kind of skulk to the counter and ask sheepishly for crisp new-looking $100 bills issued after 2003, explaining before the teller can roll her eyes that we're going to Ethiopia and it's their idea, not ours. She was completely un-phased. Apparently, amazingly, there are other countries besides Ethiopia that want pretty new U.S. cash, too. The teller hands us a stack of hundred dollar bills and says, "Tell me which ones you want." We went through probably six stacks before we found enough bills we thought Ethiopia would find acceptable (we didn't find any hundreds older than 1996, fyi). We rejected some hundreds with red ink spots just to be safe but we fudged a little on "crisp"--if we'd discarded every bill that was older than 2003 And all those with creases down the middle we'd have been there all day. So, now we've got all our money for Ethiopia. Hopefully, it's enough. Hopefully, we won't lose it. Wow. What an adventure. I'm trying to cram in all these blog entries before we travel because I know what happens to most bloggers when they return home with their little ones --they disappear. 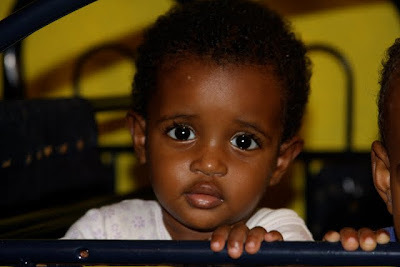 So, there are certain traditional posts in every Ethiopian adoption blog. We've done the one with the pictures of the newly decorated nursery. The one with the big mess of half-packed suitcases. I'm still working on the one about Enatalem's name. For weeks I've had ready the best one, everyone's favorite--the one with all the photos of the up-until-now faceless child who's at the center of this blog. But I'm not allowed to post it until we travel. Today, we have--the one with all the cute baby clothes. When I first started reading Ethiopia adoption blogs I have to say I thought it was kind of silly to post pictures of empty baby clothes. I mean, without a cute body to fill them, who wants to look at a bunch of shoes and dresses? Well, it turns out I do. This is the first outfit I found that I just had to buy for little e. And it's blue--after buying boy clothes for 13 years--it's blue. And it's still my favorite. I haven't been very happy with the bows and hairbands I've found. I don't know where everyone else is finding the really cute ones. Aww, shoes....I ended up exchanging these and almost everything else I bought on my first shopping foray for smaller sizes because just days after I bought a bunch of clothes we got a health update which put Enatalem in the 9-12 month size range instead of 12-18 months. It will be fun to see Enatalem's reaction to snow. We don't want to haul all our coats to Ethiopia so we plan to leave them in the car at the airport. Hopefully, we won't have to face a blizzard as we trek back to the car on the night we return. So, I looked at a map of Dubai the other day. Folks, it is truly smack dab in the Middle East. 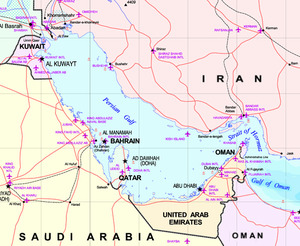 Dubai is surrounded by the countries of Iraq, Iran, and Saudi Arabia. It's 860 miles from Dubai to Baghdad, Iraq (that's the distance from Denver to L.A.). It's 760 miles from Dubai to Tehran, Iran. It's 1,049 miles from Dubai to Kabul, Afghanistan. It's 1,299 miles from Dubai to Jerusalem. These are some scary places. What were we thinking? 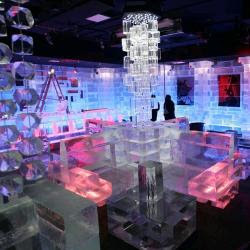 ice in your drinks, and this is what my search turned up: The Chillout Ice Bar. EVERYTHING there is made of ice: the walls, tables, chairs, cups, glasses and plates. Even the art on the wall is made of ice. This Dubai sounds like some crazy place. Like Disneyland set in the eye of a war zone. We can't wait to see it. P.S. I did finally find an article that said the water is safe to drink in Dubai but it tastes kind of funny. The author said go ahead and have ice in your drinks, just not too much. Okaaay. Either it's safe or it's not. What's too much? we should be holding Enatalem in our arms. For years we've hoped to add to our family. For months we've stared at the Enatalem pictures on our fridge. -we will take the first steps to becoming a family. Someone recommended Palmer's Cocoa Butter lotion for moisturizing our little one's skin. You don't have to order it or go to some specialty store--we found it at Walmart. How convenient is that? Sometimes "convenient" isn't the only issue. I should have realized that "cocoa butter" might be somehow related to chocolate. Now, don't get me wrong, I'm as big a chocolate lover as the next person. But LOTION that smells like CHOCOLATE? Does not work, in my humble opinion. I keep using it on my hands, thinking I'll get used to that strange chocolate smell. I can't. So, it's back to the drawing board. Any lotion suggestions? That you can find at Target or Walmart? That smells nice? You can't even walk in here! Little e's room is now a giant mess of suitcases. Four people times two bags a piece plus four carry-ons equals so much luggage I'm not sure how we're going to carry it all! We were worried about baggage fees so we thought we'd get to take only a few suitcases but our travel agent said that since we're on an international flight, there are no fees for two pieces of checked luggage (each bag must weigh less than 50 lbs) plus a carry-on bag that can't exceed 45 inches total (which is pretty big--Wesley's SUITCASE fits these dimensions--25 inches by 8 inches by 12 inches--we're going to use it as a carry-on). Our goal is to fill three or four suitcases with donations. We've filled one already and we have the word out to our friends and neighbors. Even Wesley's school has allowed him to ask kids in his homeroom for help. One of Everett's friends is a Girl Scout and her family is donating something like 40 boxes of Girl Scout cookies. Fun! That leaves four suitcases for us. There are some great packing lists in the Holt board files. We printed these and tried to pack everything this weekend but our clothes. -one whole suitcase is filled with food. I have a thing about knowing where my next meal is coming from, I get sick of eating out, and I'm afraid of getting sick. Plus, the kids are picky eaters. So, we've packed peanut butter, vienna sausages, tuna fish, and beef jerky. Four kinds of granola bars. A big tub of trail mix. A whole box of those packaged peanut butter and cheese cracker sandwiches. Applesauce cups. Ranch dressing cups (Everett dips everything in Ranch dressing). A Costco box of assorted candy bars. Oatmeal. Fruit snacks. Boxes of chocolate milk that we can put in the little fridge at the Union Hotel (they don't have to be refrigerated beforehand. Don't ask me why). Goldfish crackers. Teddy Grahams. And formula for Enatalem. Whew! -one suitcase is filled with Enatalem's wardrobe, diapers, wipes, sippy cups, and toys. I packed 8 outfits for Enatalem. I figure we'll have her for four days at two outfits per day. We'll see how that works. -Half of a suitcase is filled with non-clothes: medicines, flashlights, bug spray, toilet paper, paper towels, photo book for Enatalem's birth mom, and suncscreen. -Which means there's one-and-a-half suitcases for four people's clothes and toiletries. Hmm. I'm not sure how this is going to work. We may have to do some paring-down. I'll let you know what makes the next cut (not that anyone but me cares about all this detail --but documenting all my work makes it seem more fun). I've been making lists and packing and planning for our trip to Ethiopia since we passed court. I thought we'd be twiddling our thumbs and ready to head the airport at least a week before our date of departure. But now we seem to be drowning in unexpected details. We've been trying to get our seats for our flights but we can't because when we first contacted our travel agent we planned on leaving on Sunday the 14th instead of Monday the 15th so now the Emirates Airlines computer has us leaving from Denver to Houston on Monday the 15th but leaving from Houston to Dubai on Sunday the 14th and for every other leg of the journey has us booked on both flights. Which means we've had to make several calls to our travel agent (and you have to budget at least a half-hour for each call because he's a talker) and then we have to wait for the Emirates computer system to catch up and get everything right but Emirates only has offices in Dubai which is 11 hours ahead of us so for now we're waiting.....and can't cross "airline seats" off our list. 2. figuring out our travel documents. We got an email from Holt yesterday detailing the all the documents we need to bring with us on the trip. One unexpected one was: our HOMESTUDY. We don't have our homestudy. It's our understanding that by Colorado law we're not allowed to SEE our homestudy. So, I have an email into Holt to figure this out. Then, there's the I-600 form. Holt says to leave the form blank. Again, our Colorado social worker supervised the USCIS stuff for us (this was before we were with Holt), so we don't know what Holt is talking about. Don't you have to fill in the I-600 to get your I-171? Another email to Holt. 3. Getting the right immunizations. Everett got his kindergarten booster shots today so we thought we were all done with immunizations. But my mom (who is coming with us and lives in Utah) just got her travel shots and HER travel clinic people told her to get a meningitis shot while OUR travel clinic people told us we don't need one. So, who do we trust? Meningitis shots at our travel clinic are $120. So, now we don't know what to do. These aren't huge problems. We'll get them figured out. But, they're annoying. Like mosquitoes--which makes me think of malaria--and we have a whole other set of issues with our malaria pills. Help for the blogging-challenged (me). Please. Could someone tell me how these "follower" gadgets work? I follow a lot of blogs--does that mean I show up as a "follower" on your "follower" gadget? Or do I have to specifically sign in on your page? I decided I should add a "follower" gadget to my blog. Some of you guys have like 60 followers. I have 6. I'm feeling like a loser. Please help me out!